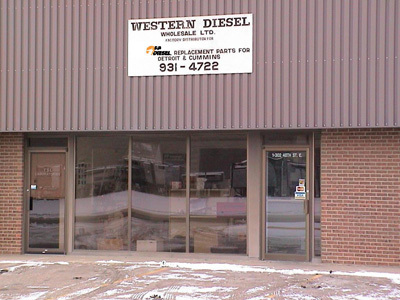 Since 1978 Western Diesel Wholesale Ltd. has been a major supplier of diesel and natural gas engine parts and services for all type of industries, a few of those being trucking, oilfield, mining, forestry and agriculture. 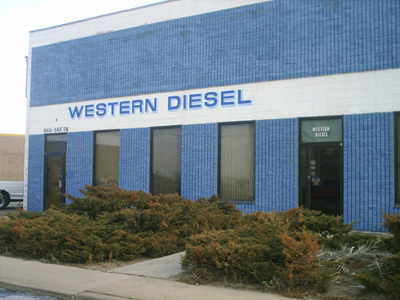 Being a distributor for Bulldog, FP Diesel, AE Clevite and TecBrake parts, we can accomodate many types of engines such as Detroit Diesel, Cummins, Cat, John Deere, Mack, Case, Navistar, IHC, Waukesha and White Superior. Our stock consists of a wide variety of inframes, gaskets, filters, cranks, heads, blocks, injectors, pumps, hoses, clamps, gauges and starters. 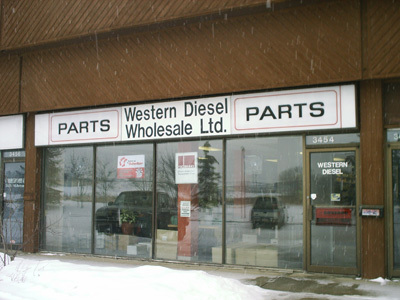 Please contact your nearest Western Diesel branch for your specific engine part needs. Our branches are located at Saskatoon, SK; Edmonton, AB and our main branch and head office in Medicine Hat, AB.